A professional makeup artist since 2000, Michelle Fong, has the necessary customer service and beauty industry experience. 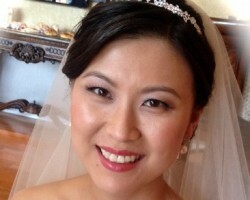 She specializes in affordable bridal and permanent makeup. Her approach involves communicating with a client to determine their expectations and personal style. She then uses the best cosmetics to enhance the customer's features in the most professional manner. Michelle enjoys working with brides; she produces different looks depending on the occasion. This local based company is co-owned by Ann Merin and Kelsey Clay. Their passion for beauty has led Beauty Heaven, their company, to become renowned for perfect looks that make their clients look and feel their ultimate best. Their experienced staff can create the most elegant looks, and they also have the rare ability to decipher what kind of look will suit a client's taste. All their services are provided at low prices, in a calm atmosphere, showing their commitment to quality and customer satisfaction. The work of a makeup artist involves transforming the client's face to look its best. When it comes to wedding hair and makeup, Butterfli Me Studios is famous for beautiful transformations that remain in the guest's minds for years to come. Their experienced beauticians provide specialized care and attention to each client to ensure that all their needs are met. With over 30 years in the beauty industry, they know what it takes to achieve the perfect look. 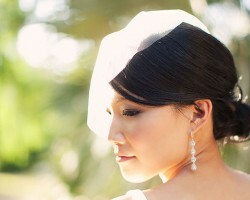 Marie Tran is one of the leading Irvine makeup artists who’s best known for creativity and attention to detail. Marie is a self-confessed perfectionist who is influenced by the color and texture of the bride's face, the atmosphere of an environment and the ability of makeup to convey emotions. Focused on exceeding her client's expectations, Marie Tran always stays up to date on the latest trends in the beauty industry.